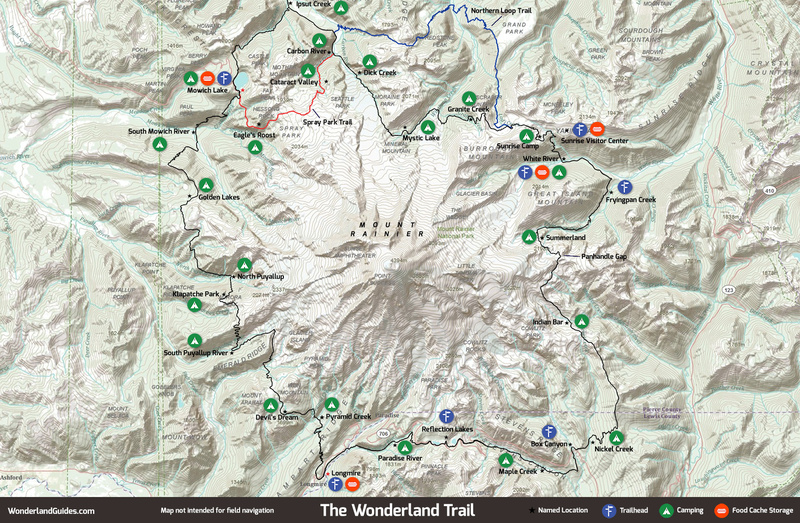 Use this unofficial tool to plan your hiking itinerary for the Wonderland Trail. Instructions: Select your start and end trailheads, number of days, and hiking direction. Adjust individual days in the generated itinerary below. Login or sign up in seconds to save, export, print and share your itinerary. The Mowich Lake and Sunrise roads tend to open late in the season due to snow. These food cache locations won't be available before then. The roads usually close in October or earlier if snow hits. Don't plan on using Mowich Lake or Sunrise as trailheads or food cache locations early or late in the season. Questions? Found a bug? Have a feature request?